Bristol City will be aiming to extend their winning run in the Championship to four games when they host Sheffield United at their Ashton Gate Stadium. The Robins quickly bounced back from a 2-0 loss to Middlesbrough and they must be high on confidence ahead of Saturday’s football match. Bristol City rolled over Blackburn Rovers 4-1 in their last home game in the Championship, but the Blades should not be underestimated as their recent form is pretty good as well. 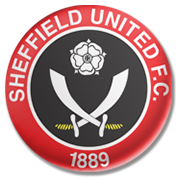 Sheffield United are on a three-game winning run ahead of the trip to Bristol and everything suggests we will see a lively contest at Ashton Gate Stadium. Both sides have been scoring goals for fun of late and, taking everything into account, we believe that there is a big value in betting on both teams to score in this one.